The concept sports car Lotus Seven has been produced in Great Britain from 1957 through 1972. The vehicle featured a rather bold design: roofless, with standalone wheels. It also weighed in at just 750 kilograms (1,650 pounds). Even as it went out of production, the Lotus Seven didn’t disappear from history. Some manufacturers have released similar vehicles decades after. The VM 77, for instance, is a Lotus Seven-inspired car that continued to be manufactured until 2010. With a weight of just 550 kg (1,212 lb) and 0-100 km/h (0-62 mph) acceleration in 5.3 seconds, it was quite a unique vehicle in its own right. No wonder Barracuda Wheels decided to work with one of these. The car received a set of matte-black, 17-inch Barracuda Karizzma racing wheels only 7.5 inches wide. These were wrapped in sport-grade tires to match and installed using spacers. 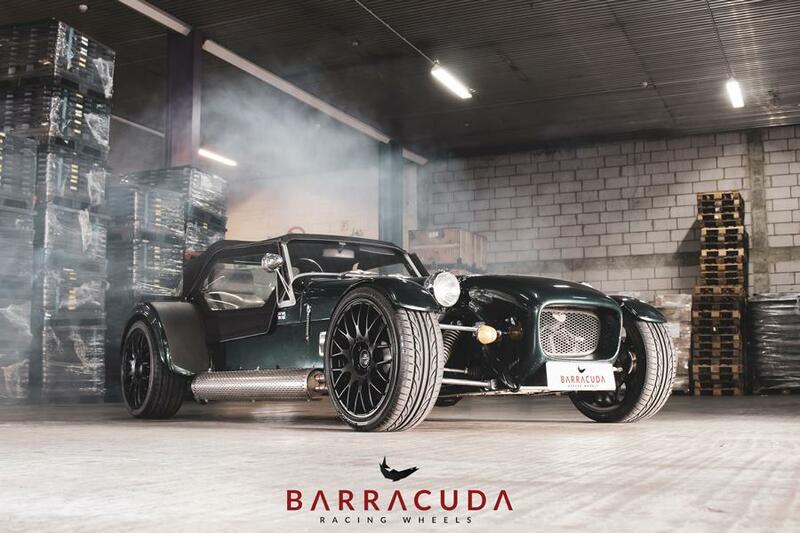 Barracuda Wheels did not mentioned the prices of the components involved in the project.